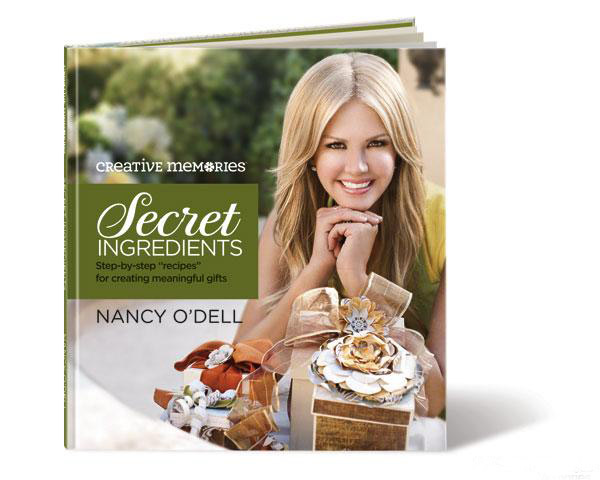 “Secret Ingredients” is Nancy O’Dell’s second book with Creative Memories. My challenge as Creative Director on this one was the fact that the book is about meaningful gift ideas you can make using photos and Creative Memories products to share just how important someone special is to you. I directed and approved the gifts featured, and I personally laid out and designed the book itself.